“China is a country where every place is full of development vitality. Seeing is believing,” said Jorge Moletti, an Argentine student from the Confucius Institute at the University of Buenos Aires (UBA), who was impressed by Shenzhen’s modern development when he went to China last year. “I like China very much!” said the 45-year-old man who can make daily conversation in fluent Chinese though he started to learn Mandarin not so long ago. Moletti started learning Chinese because the company he’s working for has cooperation with China’s tech giant Huawei Technologies. Now, he has fallen in love with Chinese culture. Moletti is one of the increasing number of Chinese learners in Argentina, whose closer ties with China in recent years have given a boost to their people-to-people and cultural exchanges. 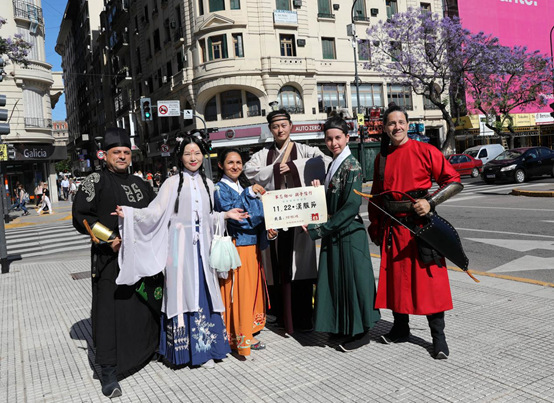 The Confucius Institute at UBA in the center of Buenos Aires, capital of Argentina, has become a major platform to spread Chinese language and culture, and to enhance the connection between peoples of China and Argentina, since it was established in 2009. 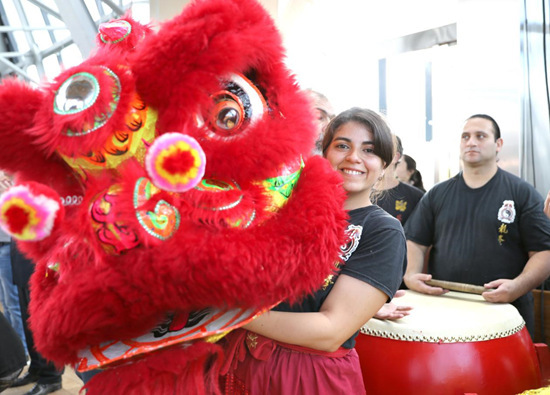 The institute now offers Chinese courses to about 1,800 local students, and provides over 20 students with scholarships from Confucius Institute Headquarters each year. In addition, the institute also established Chinese classes at the Argentine Chamber of Deputies and local enterprises, and provided 27 courses, including calligraphy, paper cutting, traditional Chinese painting and martial arts, for both students and other citizens. “Argentine people have great admiration for China’s development achievements, and many of them believe that learning Chinese and knowing more about China will bring opportunities for a better self-development,” Zhang Xiwen, a Chinese teacher of the Confucius Institute, told People’s Daily. A large number of students come to Chinese classes at night after finishing their work at daytime, said Zhang. She planned to launch online Chinese courses to meet the demands of learners living outside of the capital city. “I love Chinese culture very much,” said Tamara Arellano, Moletti’s classmate who works for local tourism department and has learned Chinese for one year and a half. “Chinese people are diligent and courageous people with a spirit of innovation. I think it’s the spirit that drives China’s development. Argentine people should have a deep understanding of Chinese culture and learn from China,” she said. “Welcome President Xi Jinping to Argentina!” Moletti and his classmates were all excited about Xi’s state visit to their country. “It’s hoped that President Xi’s visit can bring strong ‘Chinese elements’ to Argentina and upgrade the economic and trade cooperation and people-to-people exchanges between both countries to a higher level,” Arellano said.